A private setting in a detached home on a wonderful street! We were listed on vrbo for many years but they are now charging you for bookings, and we don’t want you to have to pay any extra. A deposit by check of $250 is required. To answer the most common question, yes, we are ‘steps’ away: 80 medium sized steps for me! The beach is down a sandy path and is a one of the world’s best. 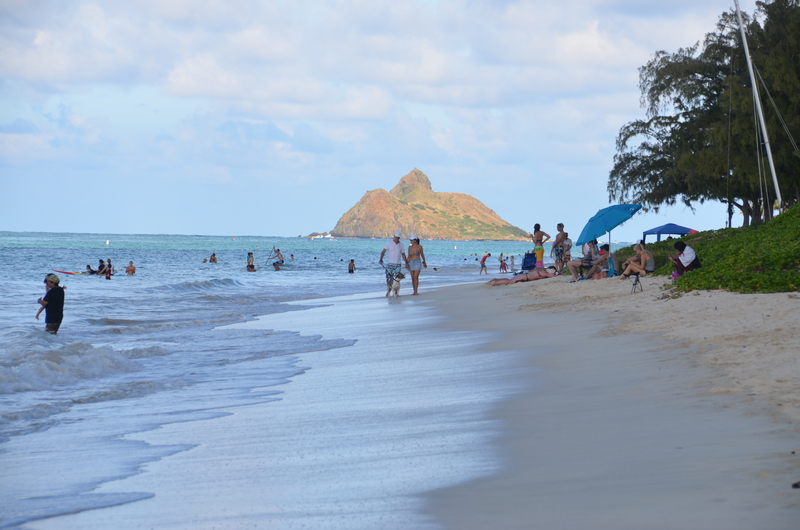 We are located near the beach park in Kailua. The unit is a freestanding, not connected to the main home. It has its own entrance from the street. It is not a room in a home and we do not serve breakfast (sorry) but you get privacy! The main part of the house is an ‘L’ shaped room with the kitchen at one end and a queen-size bed at the other. The middle of the ‘L’ has a sofa and chair. The separate bedroom has two twin beds. The kitchen and bath were remodeled in the fall of 2014 and look great! There kitchen is equipped with anything you need for cooking. There is a phone and TV with VCR/DVD and a wireless internet connection. The inside is very nice. There is parking for one car on the street. There are more pictures at our stepstobeachdotcom site. There are two vendors within walking distance for windsurfing equipment. One is Naish Hawaii: Please ask us for their phone number. They have equipment on the beach. Kailua Sailboards and Kayaks rents kayaks and bikes as well: Please ask us for their phone number. 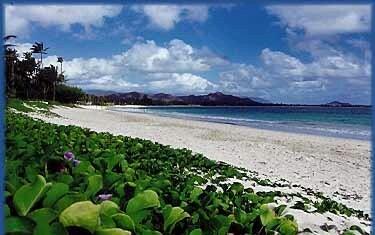 There are plenty of good restaurants in Kailua we can tell you about when you are here. No Smoking in the guesthouse or on the premises please. The rate for two is $170 per night plus 13.962% state tax. Each additional person is $10 extra per night. There is no cleaning fee because I have never like that idea!